Viscom Inc. today announced plans to exhibit at the SMTA Guadalajara Expo & Tech Forum, scheduled to take place Nov. 14 – 15, 2018 at the Expo Guadalajara. 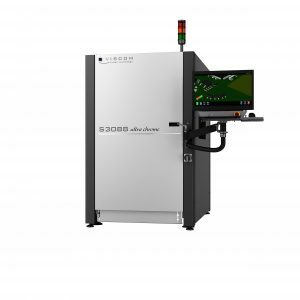 The Viscom Americas team will highlight the S3088 ultra chrome, designed to meet the demand for high throughput production lines, inspect the most leading-edge electronics and be cost competitive. Some of the market-leading features of the S3088 ultra chrome include inspection speed of up to 65 cm2/s and 65 mega pixels of information in each 50 mm x 50 mm field of view. The S3088 ultra chrome is based on Viscom’s unique 3D AOI technology, and combines accurate defect detection with high inspection speed. The resolution is switchable, and with 10 µm per pixel even 03015 components can be reliably inspected. Together with the eight angled-view cameras, a virtually shadow-free 3D inspection is one of the key advantages of the system. 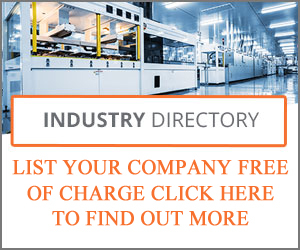 For optimal process control and comprehensive defect coverage, the results from automatic optical inspection can be intelligently linked with SPI, AXI and MXI results via the Quality Uplink software from Viscom. The modern user interface, vVision makes operation simple and inspection program generation intuitive and quick. Along with the high-performance hardware, Viscom delivers exciting new software features that enable automatic 3D program generation utilizing an extensive IPC compliant library, Gerber and centroid data to create a precise and comprehensive 3D image. With the unique 360View capability, side views of electronic components can be rendered in True to Life images. Embedded Studio: New beta reduces program size by up to 12%!